As the leading surrogacy agency in California, our vision of is to represent and assist individuals and couples all over the world who want to build a family — regardless of sexual orientation or marital status. CARE Surrogacy in San Diego is committed to maintaining a culture of respect, inclusion, and equal treatment for all of our intended parents and gestational carriers. Our passion for celebrating life led us to form the world’s leading surrogacy program in San Diego, California. After successfully helping hundreds of clients with our surrogacy brand in Mexico for 5 years, our company was fueled by a deeper commitment and a shared belief to help build families in the US. Nothing excites our CARE team more than helping you reach your dreams of parenthood. So dive in — and feel the passion within our programs, our team, and our commitment to bring you the best possible resources to fulfill your dream. Our clients appreciate access to flexible surrogacy options — and most significantly the cost-savings we help them find on their journey to parenthood. While our surrogacy programs are unique, each celebration of life is uniquely yours. Our clients’ needs are anticipated and met at every turn by our focused team members. Team members who are devoted to the step by step process of helping you achieve your dreams. 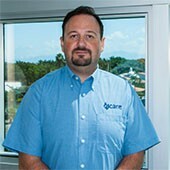 Mr. Tolga Umar is the backbone to the CARE program. His creative vision and compelling leadership skills allow him to oversee and contribute to the strategic goals and overall structureof the CARE team. As a devoted and loving Father of two, his overwhelming desire is to help ALL individuals attain their dreams of building a family — by offering them affordable and exceptional resources. His personal involvement with CARE intended parents provides encouragement and support on their family building journey. With expert knowledge of reproductive law, ongoing research of the law, and a compassionate commitment to human rights — Ivan assists intended parents on becoming parents through surrogacy. Ivan has an external role managing relationships in the community, placing heavy emphasis on team management and development, and establishing high standards of performance across all CARE programs. His personal connection with CARE intended parents provides them the confidence to take each step on their family building journey. With an extensive communications background — Kai is responsible for managing all internal and external communications, formulating heavy emphasis on the CARE Surrogacy brand management, and helping build sustainable relationships with partnering organizations. 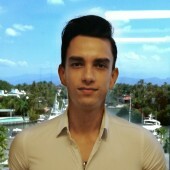 Kai is responsible for content marketing initiatives, social media management, and overseeing the development and distribution of all print and digital media. Committed to the company’s profound mission of equality, Kai is furthermore devoted to serving individuals and families in diverse communities. Hellmuth manages the CARE offices in Mexico to help prepare the intricate details of the surrogacy programs. 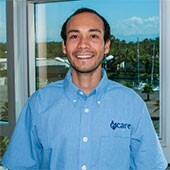 He ensures seamless team management and development, program delivery, and quality control and evaluation. Leading a dynamic team, Hellmuth develops objective performance measurements across CARE programs to ensure consistent, high-quality evaluation and goal setting for all employees. His strong management skills help him oversee the multifaceted surrogacy cases resulting in measurable successes and program growth. Jorge is exceedingly dedicated to helping intended parents achieve positive results. With an open mind and an eagerness to help individuals regardless of sexual orientation and race — Jorge combines compassion with individualized attention to give all intended parents the greatest chance for pregnancy success. As an experienced CARE journey coordinator, Jorge gives each journey to parenthood a personal touch. Tatiana performs a wide range of administrative and office support activities to channel efficient operation for the CARE programs. 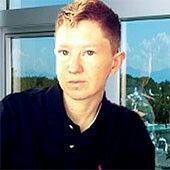 Tatiana’s excellent verbal communication skills provide exceptional attention to detail. She is proficient in using technology as a management reporting tool to develop and implement program updates to the team. Tatiana simplifies our office structure to ensure that our family can help your family grow. Her calming spirit helps CARE intended parents enjoy their experience in Puerto Vallarta. Faith is a main point of contact for both the couple wishing to have a baby and the surrogate mother willing to carry and deliver one. Faith not only recruits gestational carriers for our program, but also identifies our client’s wishes and provides a match best suitable to their needs. She provides a special undertaking in the CARE program that results in bringing new life, love, and hope — to a new family.